You could say that Luc Chenier is a minority within a minority. Unlike most of his fellow Canadians in Ukraine, Chenier does not hail from the country’s 1.3 million-strong Ukrainian diaspora. 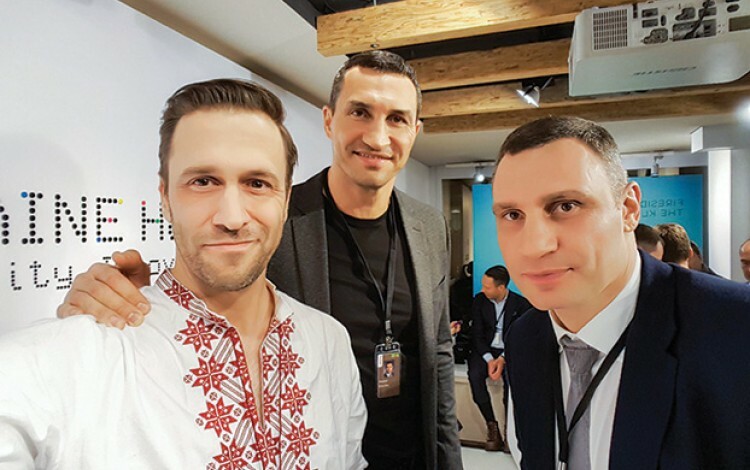 In fact, he is a French-Canadian who had no prior connection to Ukraine when he first arrived in the country as an advertising industry executive in the summer of 2000. This lack of any ancestral ties has not prevented Chenier from falling in love with Ukraine – or from making a major contribution to the rebranding of the country on the international stage. Right now, this means developing his own boutique communications consultancy named “Plan C”. With typical pop culture panache, Chenier likens his role to that of the iconic Mr. Wolf character played by Harvey Keitel in Quentin Tarantino’s 1990s cult classic “Pulp Fiction”. “I’m the person you call when you need to bring your communications strategy up to an international level in a hurry. Why wait for plan A and plan B to fail when you can go straight to Plan C?” he quips. Chenier’s client list already includes the Canadian and Ukrainian governments along with private sector big hitters like Horizon Capital, Western NIS Enterprise Fund and a number of VIP personal accounts both in Ukraine and the United States that he remains tight-lipped over. Much of Chenier’s most prominent work has focused on international campaigns designed to raise Ukraine’s profile and rebrand the country in the wake of the 2014 Revolution of Dignity. Ever since gaining independence in 1991, Ukraine has suffered from a lack of international brand recognition made worse by negative associations with specific disasters like Chornobyl and lingering misconceptions of the country as a component part of Russia. Until 2014, successive Ukrainian governments largely ignored these branding problems. However, as Russian hybrid forces fanned out across Crimea and eastern Ukraine accompanied by a barrage of disinformation, it became painfully obvious that international ignorance about the realities of modern Ukraine had made the country uniquely vulnerable to Russian information warfare. The Ukrainian government has responded to this rude awakening by embarking on the country’s first credible brand-building efforts since the fall of the Soviet Union, and Chenier has been involved in the process from the very beginning. He is currently working with the Ministry of Agriculture on a campaign to promote Ukraine’s potentially world-beating organic foodstuffs. Prior to this, he was the driving force behind a series of promotional videos collectively entitled “Ukraine – Open for U” which aimed to highlight Ukraine’s ample charms in areas as diverse as the tourism, infrastructure and agriculture sectors. Such efforts are relatively standard fare in the world of international country brand promotion, but the initiative represented a quantum leap for post-Soviet Ukraine.